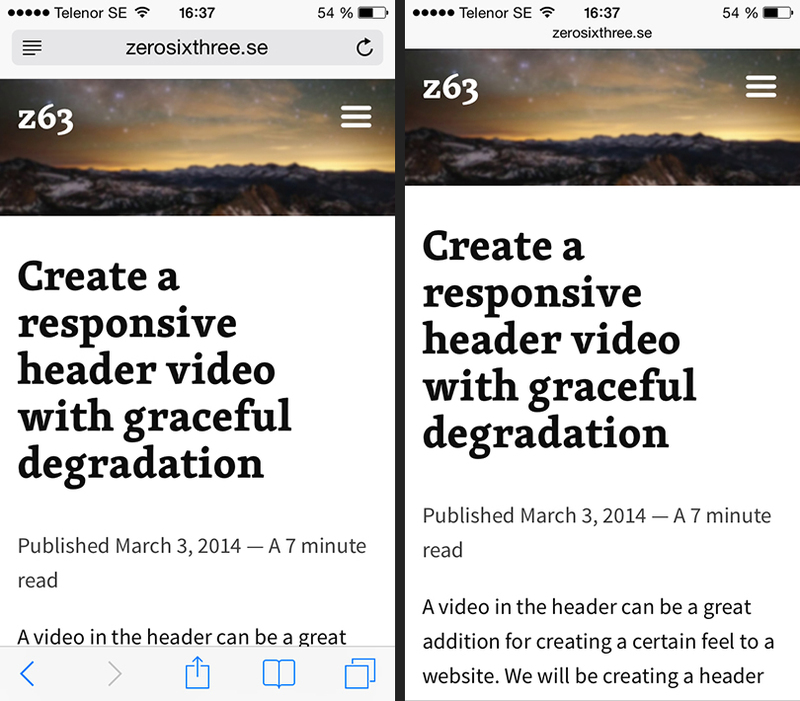 With the release of iOS 7.1, Apple added a new viewport meta tag to Safari. The minimal-ui tag lets us minimize the top and bottom bar in the browser interface, which gives us more screen real estate and creates a much more cleaner look. If you want to see the bottom toolbar, you just click in the adress field. As of iOS8 , this feature has been unfortunately been removed and is no longer supported. How do I combine with to make them work properly? Using them separately causes issues and doing breaks it! Any help would be great! What about when the user scrolls up on a page and the safari UI slides in from the bottom and top? Does this cancel that action out as well? That has been one of my biggest headaches since iO7’s release. I am afraid this feature was removed with iOS8.